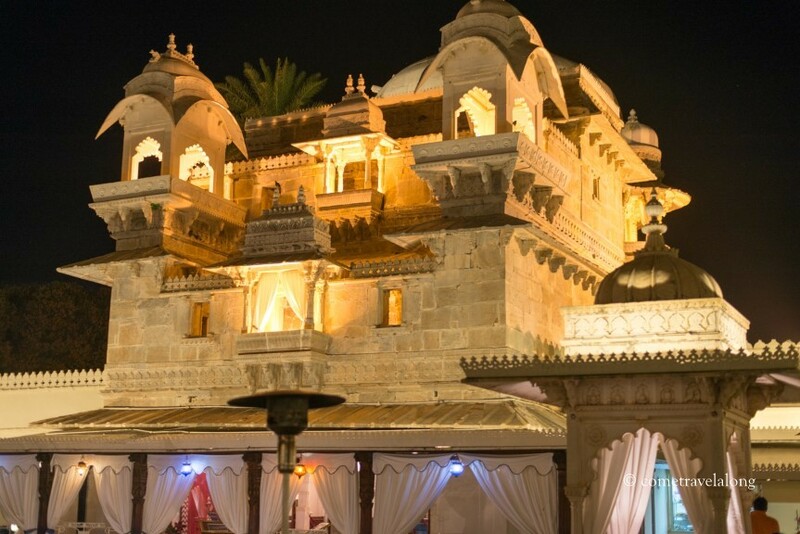 On our recent trip to India in March we were travelling to Udaipur by road. 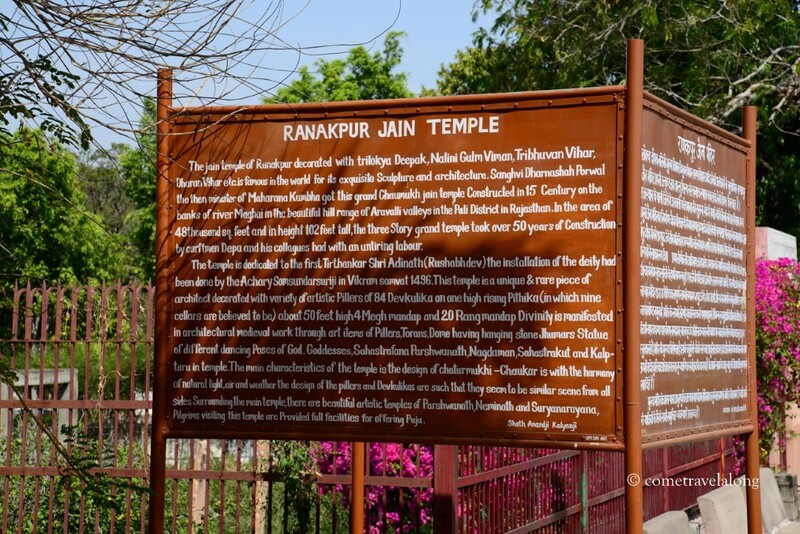 En route is the small town of Ranakpur which is famous for its marble Jain Temple. 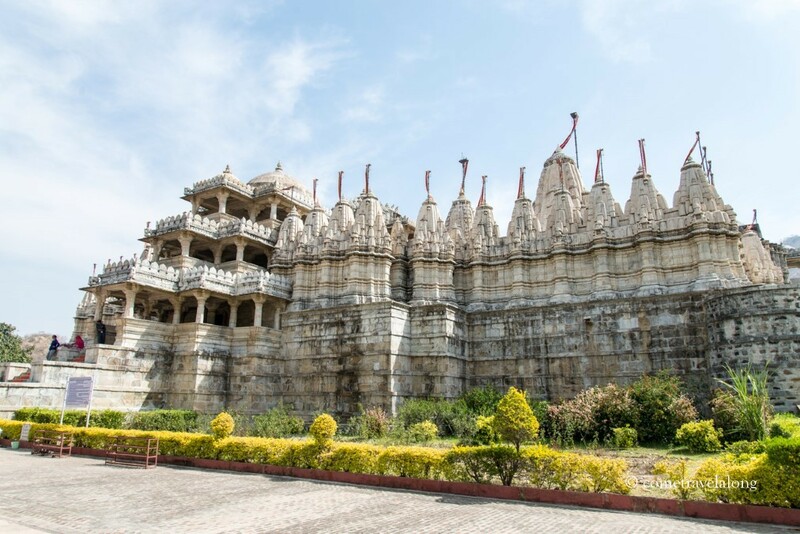 This is said to be the most spectacular of the Jain temples. 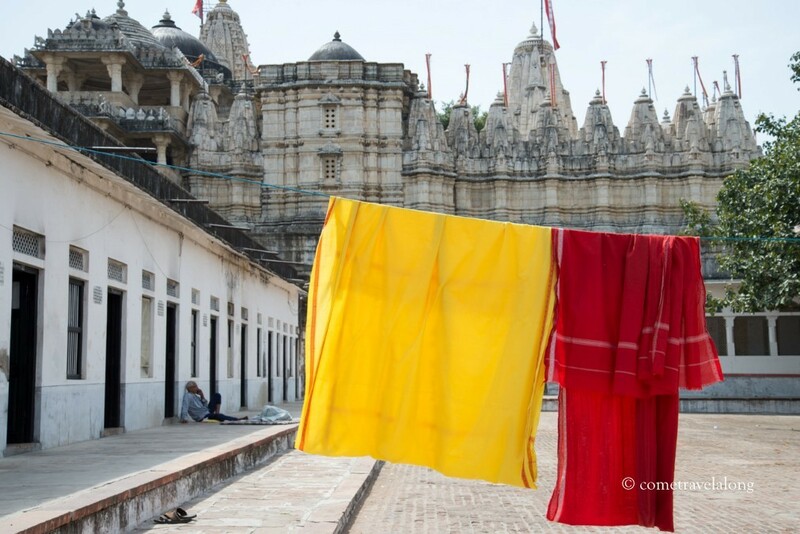 It is said that the construction of the temple started in the 15th century and it was renovated time to time. We reached there early in the morning and the place felt tranquil. 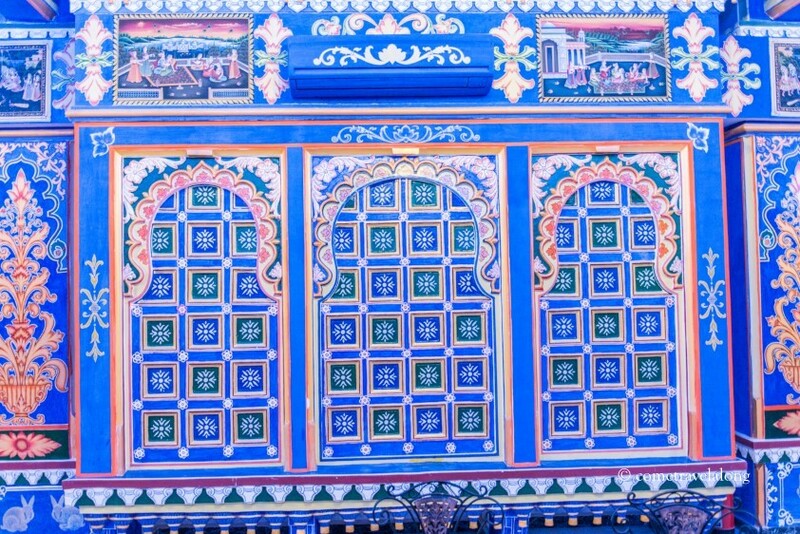 The temple offers an exquisite work of art and architecture. 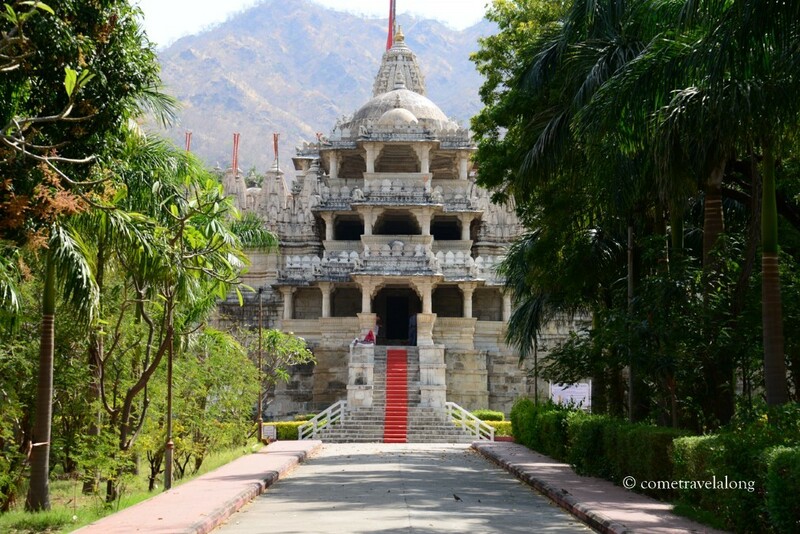 This renowned Jain temple is dedicated to their Guru ‘Tirthankara Adinatha’. 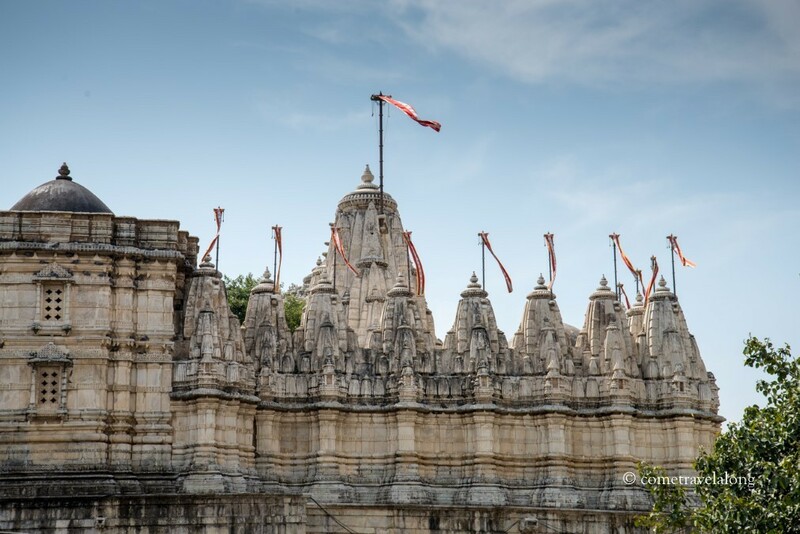 The temple has 29 halls, 80 domes and the pavilions include about 1444 pillars; each of them carved intricately and artistically. Inside the temple figures of dancing goddesses are beautifully engraved at the pillars. 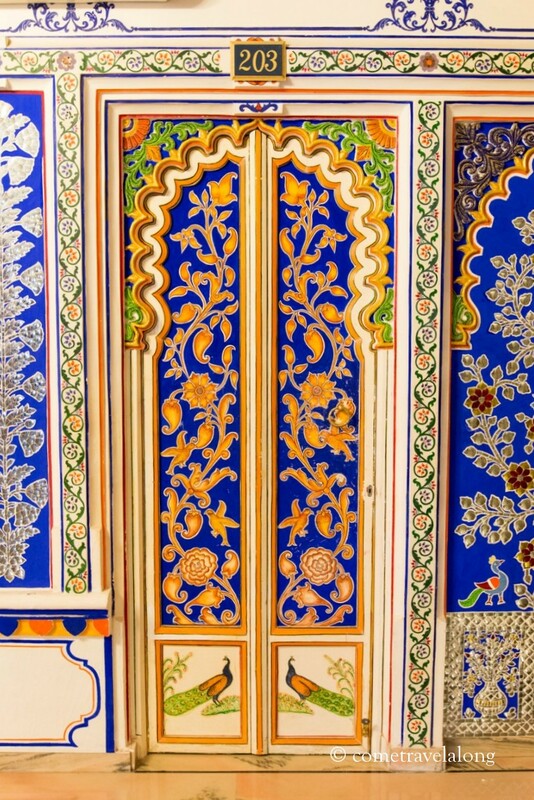 It is believed that each pillar is different from the others in design. We could not take pictures inside the temple as photography is allowed inside only during the afternoon hours. At the back side of the temple are few rooms for the priests and the other workers. 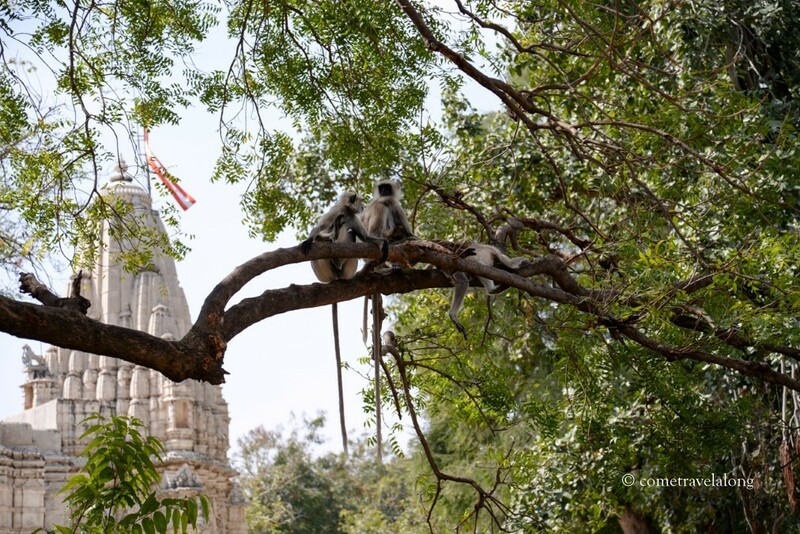 We also spotted few langurs in the surrounding trees. They are believed to be one of the ‘Old World Monkeys’. 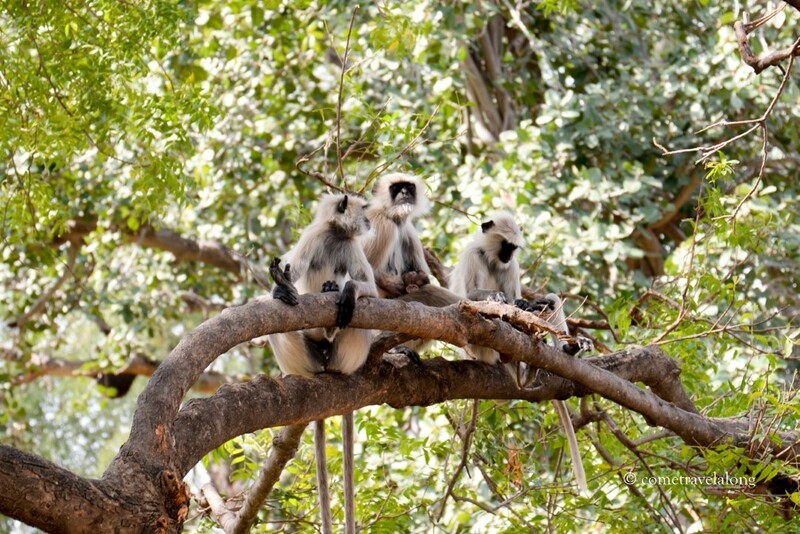 The term ‘langur’ means ‘having a long tail’ and the name suits the animal perfectly. 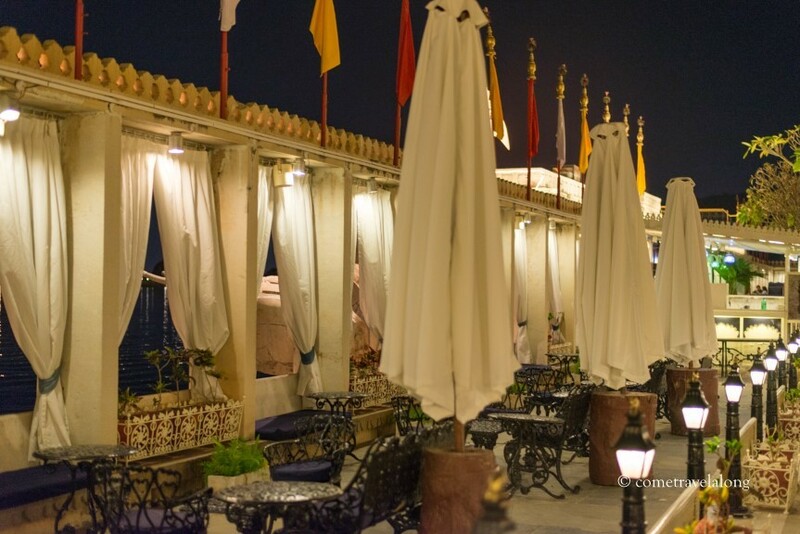 We stayed there for about an hour and enjoyed this small glimpse of India’s cultural heritage and unique architecture. We also had food in the cafeteria there and it was delicious. We all were full and we moved for our next destination. 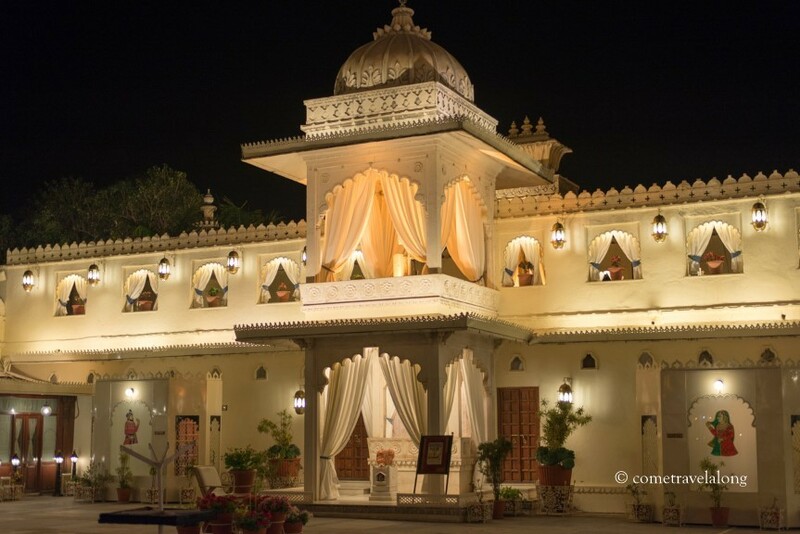 On our trip to Udaipur, India we stayed in a boutique hotel built in a heritage style. 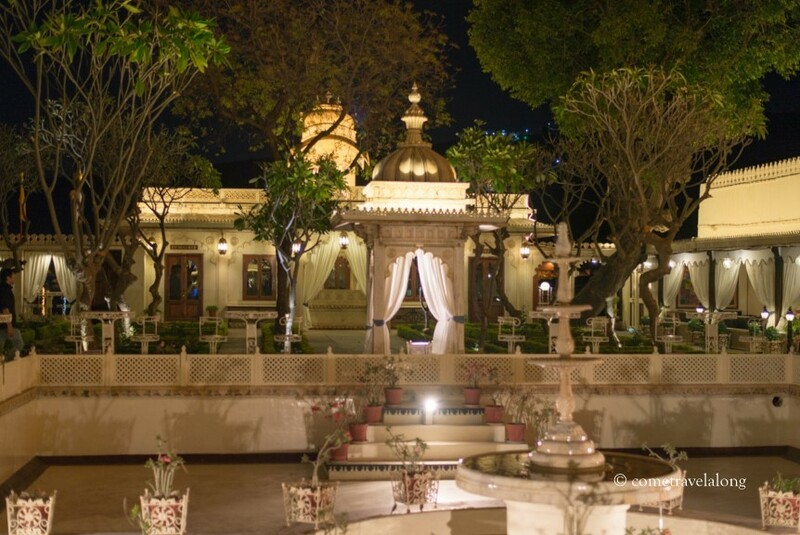 The place gives a royal feeling with the beautiful art and the decor. This was a wonderful hand-painted wall along the indoor swimming pool area. Sharing here for Weekly Photo Challenge. 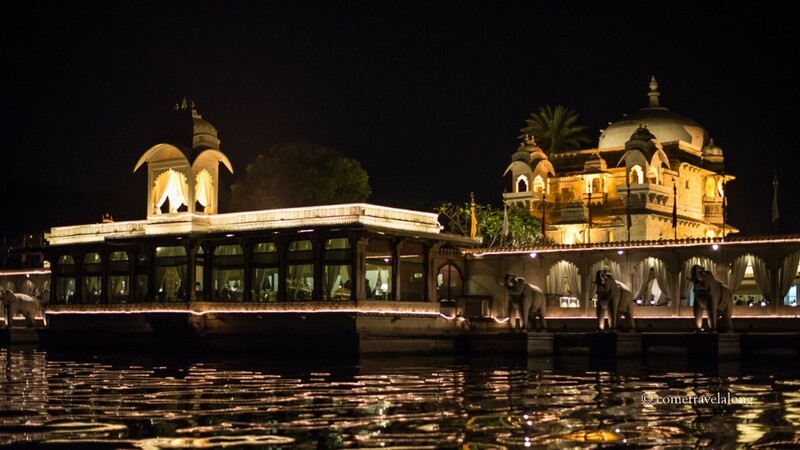 This picture is from our recent trip to Udaipur in India. 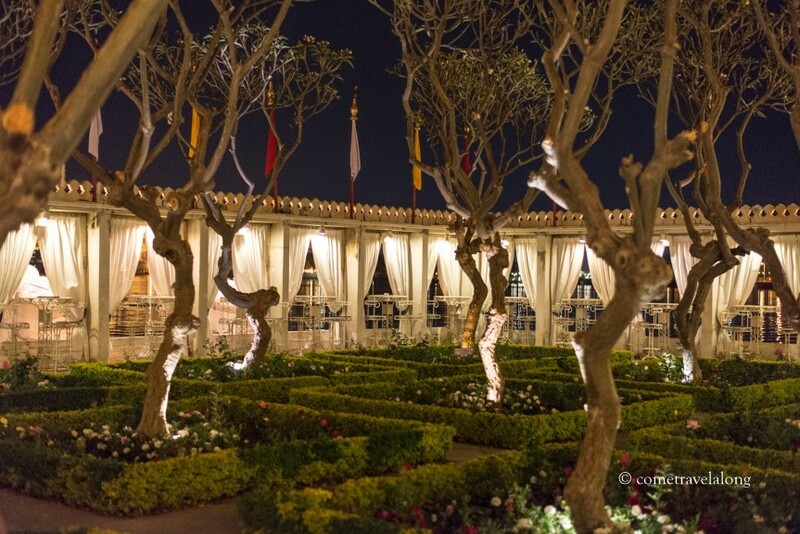 I was taking pictures during sunset from our hotel terrace when I decided to capture this moment with the stone built fountain in the foreground. Another of my post for sparkling moments can be found here.